These words of Burke are quite well-known. They express sentiments which every Tory heart thinks it has known before, and to which every Tory breast returns a muffled echo. They have taken their place among conventional Tory pieties, which is to say that they have been added to that (perhaps) slightly threadbare stock of propositions, some of which are mutually contradictory, others of which, if really believed in, would shock most of the present Tory party. I begin with Burke, first because I think that what he says is true; and secondly in the hope that by starting with accepted pieties I shall make some of the things that I shall later go on to say less hateful to pious ears than they would otherwise be. But Burke was himself not uttering pieties. He was brilliantly undermining a plausible view of human society which is still extremely powerful today. He was combat-ing a view of society which would fragment it, and which would dissolve what he was to argue was its organic nature. Above all he wanted to show that we cannot understand our own society, and our allegiance to it, speculatively: for instance, by invoking alleged universal principles like `the rights of' man', principles, which are taken to transcend the customs, pieties, traditions of a particular nation - of this nation. ... how much is here embraced by the term culture. It includes all the characteristic activities and interests of -a people: Derby Day, Henley Regatta, Cowes, the twelfth of August, a cup final, the dog races, the pin table, the dart board, Wensleydale cheese, boiled cabbage cut into sections, beetroot in vinegar, nineteenth century Gothic churches and the music of Elgar. If I mention these famous names it is not because I want to appeal to authority, but because I wish to point a contrast. Although in this audience, I suppose, ideas such as tradition, even nation, will not be regarded as just primitive, they do not find much place in that congeries of sentiments, prejudices and catch-phrases that make up the liberal consensus. There has been an extraordinary reduction to the primitive of political language. Ideas about the relation between the culture of a community and its sense of itself as a nation, between a people's sense of itself as a people and its political institutions, may well give rise to very complex considerations. But there is a rich tradition of thought on all these subjects in this country, a tradition that has obvious relevance to the development of the very idea of England as a parliamentary democracy. These ideas, which formed as it were the ground-rules for debate amongst thinkers as diverse as Coleridge and William Morris, seem to have sunk into a sort of twilight existence as instincts which are scarcely avowed, feelings no longer fully understood even by those who feel them, or hopes which few dare clearly to articulate. And the liberal consensus, instead of pro-ducing a reasoned critique of such ideas behaves as though they never existed. It does not offer any clear alternative, merely a set of sentiments which, it is assumed, all decent people will share, combined with an extraordinary determination to suppress any real debate on the issues involved. It is a sad commentary on the decline of our political culture that all those ways in which people define themselves as a community, relate this to their sense of themselves as political beings, understand the sources of their own pietas towards their country, the root, as Hegel said, of all true mental or spiritual life in family, fatherland, state - should be summed up by so many of the educated class in one vulgar, and above all banal catchphrase: `racialism'. But our problem also concerns the Tory Party itself. It should be a proposition agreed by all reasonable men that the present Tory Party uses a language of politics that is hopelessly impoverished. This is above all seen in the triumph of the idea that what the Tory Party ultimately stands for is freedom of the individual, rolling back the frontiers of the State, etc. This again seems to me to be a form of political primitivism. This and the analogous notion that Toryism is essentially about a particular economic doctrine - the free market - which is seen as the economic version of individual freedom (itself a doubtful notion, of course), a doctrine which is quite obviously a version of classical laissez faire liberalism, has meant that it has almost forgotten how to use the language of State and of Nation. And until recent happy events altered things for the moment, and freed the Prime Minister to express her entirely healthy instincts, a good deal of recog-nition of it as a national party had been lost. To take what seems to me an obvious example: Northern Ireland. Northern Ireland is officially discussed as though the only real justification for that province's remaining within the United Kingdom (or, to put it more cynically, the chief obstacle to its being excluded) is that a majority of its inhabitants wish so to remain. Obviously that there is this settled desire is a necessary condition for its being politically plausible and possible to maintain the Union. But it is not a sufficient condition. For as all Irish nationalists will tell you, that majority was created through the hiving off of six of the counties of Ulster when in the rest of the island those who wished to uphold the Union were in a minority. That the wish of the majority of the Northern Irish to remain British should be respected must depend upon facts beyond the mere existence of such a wish. It must take into account a community long settled in one place, with a sense of its own identity that is not a fantasy but corresponds to actual historical events, a people who differ from a majority of the inhabitants of the island in being of partly Scottish descent, and Protestant -who differ, that is to say, in race and religion; who have in their national life an idea of continuity which extends in time as well as in numbers and in space, and is a deliberate election of the ages and of generations. This is the under-lying justification for according to Northern Ireland a separation front the rest of Ireland in the first place, and for using the power of the State to support the wish of the majority to remain British now. 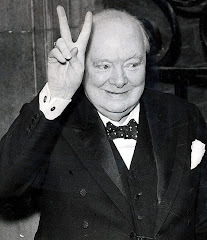 It is not the unhistorical and unargued liberal and Wilsonian principle of `self--determination' which has been such a source of evil and humbug in the modern world (and was so useful, inciden-tally, to Hitler in the 'thirties). In other words their wish to remain British commands respect because they are British, a fact which discloses itself through the occasions, tempers, dispositions and moral and special habitudes of the people, only in a long space of time. If by some mischance Parliaments in the nineteen-fifties had legis-lated to incorporate Malta within the United Kingdom (and perhaps we all remember that `integration with Britain' was the platform on which Mr. Mintoff first came to power), then should it have proven expedient later to undo this legislation (as it surely would have), I do not think that the Maltese would have had a claim upon our honour that they remain British in any way comparable to that of the Northern Irish. And yet the language of `self-determination' is the one which nearly all Tories use to defend the status quo in Ulster. They therefore help to obscure the vital distinction between an already existing fact of nationality which may help to justify a subsequent Act of Parliament, and nationality of a largely fictitious nature which Parliament may devise in a fit of absence of mind without foreseeing the consequences, and which might be subsequently rescinded without any profound moral or national issues of principle being involved. For instance: the 1948 Nationality Act; and the 1981 British Nationality Act. Onew other example: the Anglo-Argentine War of 1982 (only for some reason - I am sure this is symptomatic - it was not called a `war' but a `crisis' or a `dispute'). The official line varied somewhat. Sometimes we were fighting to uphold the wishes of the Falklanders; sometimes their interests. We were also said to be obeying a United Nations resolution (of a highly ambiguous character). Now I say nothing disrespectful about the United Nations this evening - except to agree with a reported remark by T. S. Eliot that it is a plot against European civilisation - but the notion that the inherent right of self-defence (which presumably Elizabeth I thought she had against the Armada) should be enhanced by the decisions of such a body does strike me as curious. The other popular line was that we were fighting in defence of a principle: I think that this time the principle was that `aggression does not pay'. Now apart from the fact that it would clearly be morally indefensible to send men to their deaths in defence of a principle, rather than of sovereign territory or national interest, and especially a principle pulled out of a hat, (and one which, if taken as a statement of fact is manifestly false), it is curious that so few prominent Tory politicians apart from Mrs. Thatcher gave the real reason for the war, which explains also why it was so de-terminedly supported by the British people: that the Falklands were sovereign territory, perhaps strategically important, and that the Falklanders were British by every conceivable test (although not under the new Nationality Act), by language, custom and race. It has been well said that `The life of nations, no less than the life of men, is lived largely in the imagination'. One way of understanding this, I think, is that nation-ality, in addition to whatever else it may be, is a sentiment. It cannot be reduced to such things as long settlement in one place, legal and constitutional continuity, shared religion and culture, because all these things may exist without the sentiment of nationality: e.g. the Greeks under Turkish rule. And it may exist without most or all of them- e.g. the Jews of the Diaspora. But in the case of the English, and the British, it seems certain that the sentiment of nation-ality is inseparably bound up with shared history, law, custom and kinship. If the United Kingdom is a prescriptive monarchy in which the crown derives its authority from its immemorial acceptance in one particular nation, and if we can take this as the type and source of all legal authority within the nation, then obviously the constitution of the nation depends upon a particular sort of community. It implies at least that there be a degree of continuity, cohesion, com-munity of sentiment that makes acceptance of this authority both truly general and truly `immemorial'. The destruction of continuity and community must tend to the destruction of the constitution itself. 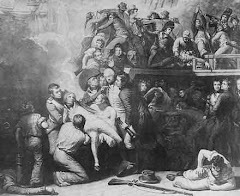 There is no way of understanding British and English history that does not take seriously the sentiments of patriotism that go with a continuity of institutions, shared experience, language, customs, kinship. There is no way of understanding English patriotism that averts its eyes from the fact that it has at its centre a feeling for persons of one's own kind. The Germans have the term Sittlichkeit to express the moral obligations I have to an historic community of which I find myself a part. The moral life finds its fulfil-ment only in an actual, historic human community, and above all in a nation state. The 'sentiment' of nationality is actually one's ability to see the community in which one lives, in all its variety of customs and practices, as issuing in a nation, and to see that as a moral idea. Now one very respectable way to refer to all this is to talk of the sense of race. Unfortunately in the nineteenth century `race' became the name of a scientific theory, rather than of a political and moral idea. I have no opinion about race as a scientific theory, except that it seems no sillier than many more fashionable theories in the biological and social sciences. But it really stands proxy for that feeling for, loyalty to people of one's own kind that I have been trying to describe, and as such expresses a moral idea, and a noble one. In Britain it expresses all those forms of trust that allow the country to be a free, self-policing state which takes the loyalty of its citizens in peace and war more or less for granted. Perhaps the worst feeling they have to endure is of loss and betrayal. Many of the people I met remember both World Wars; most of the men have served in one or the other. They have worked, and raised families and obeyed the law. They feel they are true English people, who love their country. They are devoted to the Royal family, and feel they inherit and live out a life which has the right to be the envy of the world. And yet, without provocation on their part, they find most of the things they value neglected or taken away. As one old man said simply, `It's our country and our Queen. Why should we be afraid to go out? This points to a conjunction of `sentiment' and facts: We come to the problem of the West Indians. There are various specific features that may lead us to suppose that the West Indian community, especially the Jamaicans, and above all those actually born in this country, is structurally likely to be at odds with English civilisation. There is an extraordinary resentment towards authority - police, teachers, Underground guards - all authority. This anarchic attitude seems to spill over so readily into an antagonism against Britain itself that it would not be irrational (although it might be incorrect) to wonder whether a resentment against the country and its prin-cipal institutions is not actually at the root of it. Then there is the family structure, which is markedly unlike our own; educational standards that are below those of all other racial groups, these going with extremely- unrealistic career expectations; the involvement of West Indians in a vastly disproportionate amount of violent crime. But all this is secondary to the real problem: Because of their sudden and recent entry, because they are already a very large community, but above all because of their colour, which distinguishes them from the rest of the population in both their own and others' eyes, they have a solidarity one with another that gives them a sense of identity and interests different (in their eyes) from that of the majority-. And if you put the particular features I have catalogued together with this general feature, then you will not be altogether surprised by recent events. Last year's riots were the first really serious sign in Britain of the breakdown of that Victorian civil order. The first riot was scarcely over when it was, as it were, officially announced that it had not been a race-riot. More non-race riots followed, and Lord Scarman was wheeled out to write his trivial report. He found various conditions which created a predisposition towards violent protest, con-ditions which reveal a good bourgeois lawyer's bewilderment at English -,corking class life and at features of it that had never previously been thought to create the con-ditions for riot and arson. These included lack of recreational facilities (playing fields), the depressing effects of physical decay, and (most potent, perhaps of all) the existence of street corners as social centres. The on( - matter on which Lord Scarman did not concentrate his attention was the fact that the riots, although as they developed they drew into their vortex many white youths and looters, some of them unemployed, but most not, and on one occasion Asiatics, were always found to coincide, when one traced their origins, with a preponderance of West Indians. And they reflected habits particularly characteristic of Jamaica, including that general rebel-liousness that I have mentioned (and, incidentally, that curious interest in fire). In fact the interpretation given by the radical young blacks themselves, in the teeth of bien pensant sociologists, was the most plausible: that the riots were directed at the police-that is to say, at the represen-tatives of lawful authority which restrains the West Indian life style (which seems to include drugs and other unlawful activities). This was all very horrible: but I do not wish to say that the problem about the West Indian community is just a problem about the possible destruction of civilised life in the centres of the big cities. (Although that is what is happening.) It is also that all this offends a sentiment - a sense of what English life should be like, of how the English behave towards duly- constituted authority, a sense of what is civilised behaviour. What it offends is the sentiment that `this is our country' -a sentiment that the behaviour of the rioters and their numerous sympathisers within the black community seemed, in its violence and arrogance, to deny. What is finally at issue comes out more clearly with the Indian community or communities - intelligent, in-dustrious, peaceable people, with most of the domestic virtues. Nevertheless, by their very large numbers, their profound difference of culture, they are most unlikely to wish to identify themselves with the traditions and loyalties of the host nation. Indeed, they have never done so, wherever in the world they have settled. They have always remained rooted in the Indian sub-continent. If the source of authority and the focus of loyalty in Britain is as I have described, then the existence by the end of the century of a community of, say, five to seven million persons in this country who, in the circumstances in which they find themselves, cannot instinctively identify them-selves with the State will call the actual constitution into question. I believe that the great majority of people are actually or potentially hostile to the multi-racial society which all decent persons are supposed to accept. At the same time they tend to be abashed, even intimidated by the propa-ganda of those who dominate the media into feeling that their own attitudes - attitudes that would have been regarded as absolutely normal thirty years ago, a mere orthodox patriotism - are disreputable. They tend to think, therefore, that nothing can be done. At the centre of the moral and emotional objection to even considering any large-scale repatriation of coloured immigrants - by whatever means, however financially advantageous - stands the idea that they are `black Englishmen'. This is a notion that trades upon the idea of Englishness whilst at the same time taking away those very features that give it emotional weight. Had the immigrant community- been here fifty, eighty, a hundred years, it would look more and more as though it were composed of Black Englishmen. This would be still more clearly true if it adopted the culture, customs and values of the English. But at the moment it looks much more likely that the large, self-conscious black and brown com-munities will turn Britain itself into a different sort of place. I take it that no one seriously sets the horrors of the Northern American cities, which have experienced com-parable immigration, before us as an inspiration. I forget who the wit was who said of the famous American melting pot that the only thing that melted was the pot. If we think that something is to be done, then I can see only two possible courses. The first was proposed by Mr. Peregrine Worsthorne in the Sunday, Telegraph a year or so ago. It would be a policy that recognises the dangers of large, self-conscious separate Communities, communal politics, division of loyalties. It would involve the break-ing up of large concentrations of immigrants so that our cities do not become foreign. The end is desirable, but I do not see by what means it is to be achieved. It would require direction of labour, and, presumably, some system of internal passports to ensure that those directed to one place did not return illicitly. There would also have to be some vigorous policy of cultural assimilation carried out through the schools. But for Britain to carry through such a policy successfully would require a change in our political ethos as far reaching as that likely to be caused by immigration itself. It would require a giant step towards authoritarianism. I believe that the only radical policy that would stand some chance of success is repatriation of a proportion of the immigrant and immigrant-descended population. Voluntary. assisted repatriation is one possibility, and, on the face of it, the most humane. Voluntary assisted repat-riation was once part of Tory policy but was forgotten so soon after the 1970 election - in which attitudes to immig-ration played no small part, especially in the Midlands - as to make one wonder how seriously it had been put forward, except, perhaps, for electoral purposes. One could envisage some thousands of millions of pounds being spent over the years in the form of compensation to, and assistance for, immigrants returning to their countries of origin, taking with them newly acquired skills and useful capital. Such a policy would certainly call forth a tidal wave of protest from the liberal conscience of this country. And on this matter the genuineness of the conviction would not be in doubt Nor should one understate what is repulsive and contrary to British traditions in proposing such large -scale population movements. Yet consider: Algeria was a Department of France, and had been so for about a hundred years. Yet about a million Algerians `returned' to France and were integrated into French life within a very few years. De Gaulle had the vision, and the cunning, to carry through a policy that to preceding French govern-ments of both Left and Right had seemed unthinkable. Yet the French presence in Algeria was incomparably more profound and powerful and of much longer duration than the West Indian and Indian presence in this country. Many thousands of Portuguese left Africa precipitately in the wake of independence, leaving nearly all their posses-sions behind. It was a sudden and tragic exodus, but there does seem to be a good prospect that they will settle successfully in Portugal. Again, many people envisage, with regret certainly, but not with horror, that a large proportion of-Whites will, in a few years, leave Zimbabwe for Britain and South Africa. Yet about half the White population have been there since before the War, and they have created and sustain the wealth of that country, and have created all its institutions. Their possible departure is looked upon as something that can be negotiated about by Britain for the best possible terms, but not as a nameless horror. Again, under an agreement between India and Ceylon, about half a million Tamils will have left to return to the sub-continent within a few years. Movements of population are painful to contemplate, and should not lightly be proposed. But in comparison with these quite recent events, a scheme of' voluntary, assisted repatriation, with very substantial compensation and perhaps the continuation of welfare payments for some considerable time, might be thought of as not bar-barous, but a regrettable necessity of State. However there are at least two drawbacks. First: it may not work. I say nothing more about that except that it is an obvious possibility, and to eliminate it the sums involved might have to be enormous. Secondly. in order to promote this policy public opinion would have to be mobilised, the political language would have to change, the liberal con-sensus - which in this case officially includes the whole of the Labour Party, the Liberal/S.D.P. Alliance and the Trades Unions - would have to be challenged and de-feated. _All this could create a climate of popular excite-ment that could actually lead to illegal and offensive pressure upon immigrants of a sort that it is of over-whelming importance to avoid. Because it would be volun-tary the whole process might be out of political control. The alternative is generally considered unthinkable in polite society: This would be retrospectively to alter the legal status of the coloured immigrant community, so that its members became guest-workers - analogous to the Turks in Germany and Switzerland - who would eventu-ally, over a period of years, return to their countries of origin, with their pension benefits, property, and perhaps a large measure of compensation out of public funds. They would be like the perioeci in ancient Greece; or, perhaps, like Plato's poets - crowned with olives, anointed with oil, provided with a capital sum and sent away from the city. After such a measure had been enacted, it would still be possible for Britain to decide upon a proportion of the immigrant community to consider for naturalisation - being guided by numbers, special skills and requirements - much in the same way that, say, Australia selects its potential immigrants. I need not elaborate on the conflicts that such a policy would bring about. I do not think that the fact that such legislation would be retrospective in itself a decisive argument against it. As Mr. Powell has said, in a sense all legislation about nationality is retrospective in that it alters an already existing status. We can all imagine the outcry that there would be both at home and abroad. However this policy would have about it an air of in-evitability once enacted, and of political control that might actually make it less damaging and less inhumane than a voluntary scheme. I am well aware that for many this talk has now entered the realm of fantasy. Here I sit, in a civilised drawing room, airily envisaging the movement of, hundreds of thousands, perhaps more, human beings from one country to another. And I admit that the imagination fails before the task of really envisaging what this would be like, how circumstances could change politically for such a suggestion to become politically serious. It does not, however, require very much imagination to see what will happen if the present demographic trends in Britain con-tinue. But perhaps that is wrong: it is perhaps a complete lack of imagination in seeing what is emerging rapidly into the daylight that makes people regard proposals such as these as fantasy. What is now actually happening in England would have been regarded as the purest fan-tasy twenty or thirty years ago. Some of the ideas that I have implied in this talk, and others that I have openly advocated, will seem abhorrent to many. My defence is this: the state of nationhood is the true state of man, and the danger of ignoring the sen-timent of nationhood is actually the danger of the des-truction of man as a political animal. 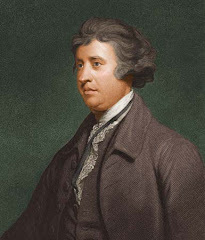 Although the courses of action that would possibly be open to us to preserve the fullest sense of nationhood would be severe, perhaps callous, that alternative political philosophy which sees nothing really profound in the problems posed by mass immigration, but only difficulties that can be solved by good-will, money for inner cities, and Race Relations acts, would actually reduce human society to what Burke called `the gross animal existence of a temporary and perishable nature'. 1. Reflections on Present Discontents. 2. Appeal from the New to the Old Whigs. 3. Religion and Public Doctrine in Modern England. 4. Speech by J. Enoch Powell, at Trinity College, Dublin, 13 November 1964. 5. A formulation taken from a speech by J. Enoch Powell, 1978. Your society is in partnership with money. It pretends that groups have rights, and individuals only have temporary revokable privileges. In allowing globalization and foreign "investment" it sells off your country as it sells out the citizens thereof and therein, to foreign governmental ownership. You are ruled by Salesmen-Traders. They have downsized and outsourced America's entire manufacturing base to their cheap 3rd world slave pens. You make nothing there anymore, so your corporazi gangs own nothing there (except your people's for-profit taxes) and so they pay no taxes there. You Americans are now OWNED. Especially by the Saudomites of the Saudiet Union; velcome to Islamerica!